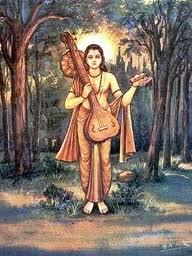 Narada jayanti is the auspicious day mostly observed by vaishnava cult in the northern parts of India. It is a birthday celebration of Narada Muni. Narada is devotee of Lord Vishnu and Son of Brahma. He is considered as the first journalist in the Universe. Devotees observe fast on this day, also organize meetings and various intellectual endeavours. Narada Jayanti is observed on the day after the full moon day in the month of Vaishaka (buddha purnima). Some times it is observed on the same date with purnima. 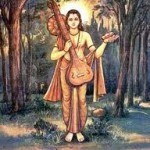 Narada jayanti is celebrated on 1st day of waning moon period in the hindu lunar month of Jyesta (purnimant). In this year, Narada jayanti is observed on Saturday, 2nd May 2026.